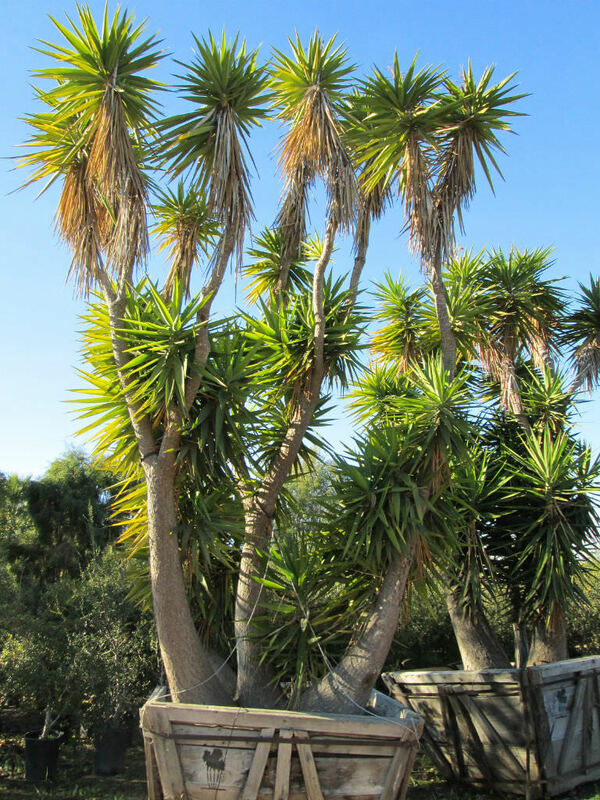 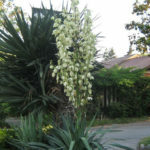 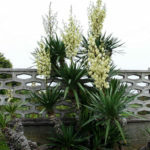 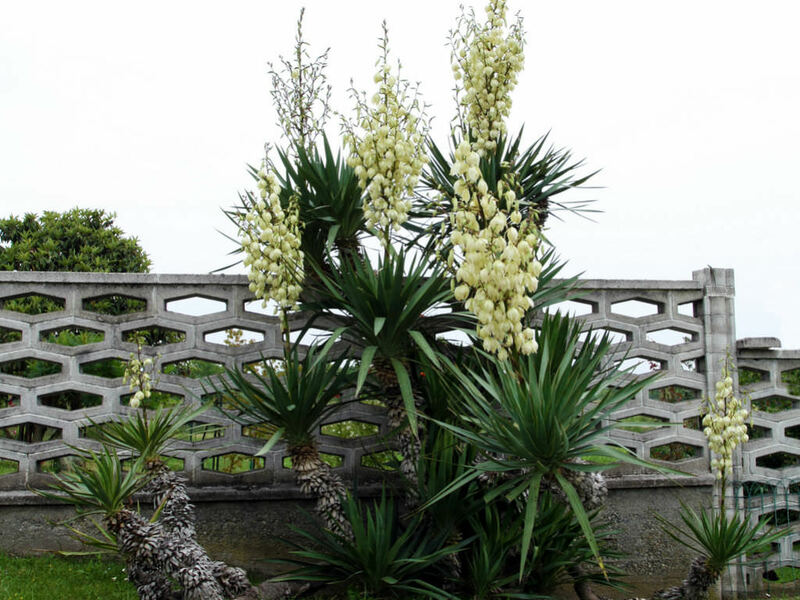 Yucca gloriosa is an evergreen, medium-sized shrub, usually with single stem (rarely with several stems arising from the base), up to 8 feet (2.5 m) tall. 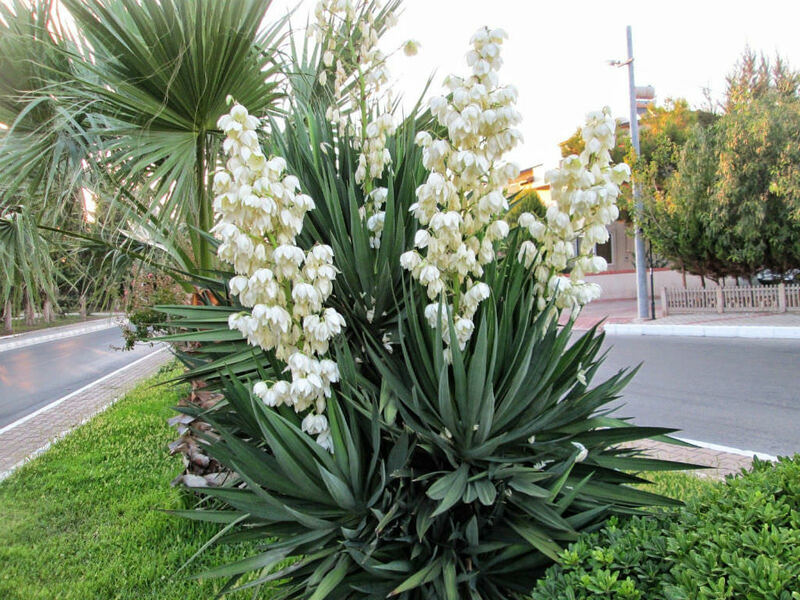 The sword-like leaves are stiff, glaucous-green in color, up to 20 inches (50 cm) long and up to 2.8 inches (7 cm) wide at the base. The bell-shaped, creamy-white flowers, sometimes tinged with red or purple are borne on panicles up to 6.5 feet (2 m) long. 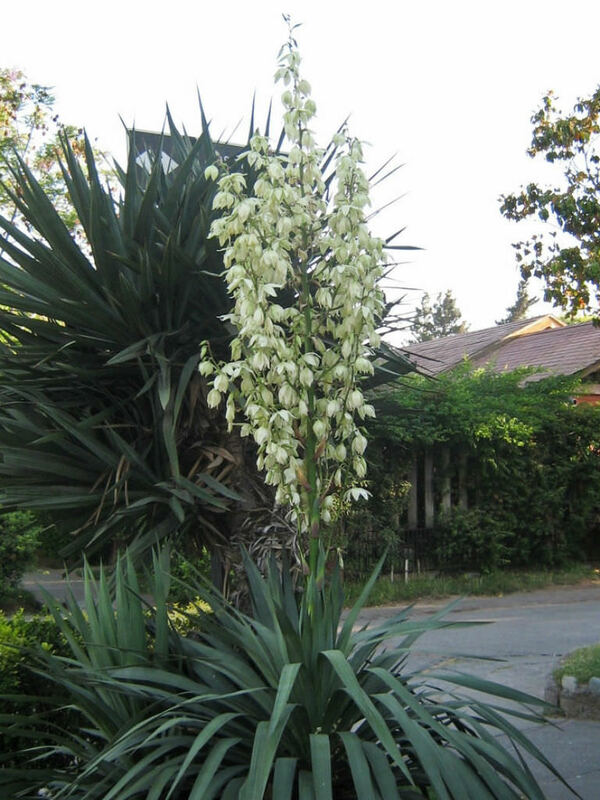 USDA hardiness zone 7a to 11b: from 0 °F (−17.8 °C) to 40 °F (+4.4 °C). 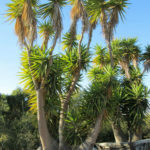 Native to the southern United States, from North Carolina to Florida.